STAY AND PLAY IN THE HEART OF BURNS COUNTRY. SOUTH AYRSHIRE HAS A LOT TO OFFER WHEN IT COMES TO ACCOMMODATION. WHETHER YOU’RE AFTER FIVE STAR OR CHEAP AND CHEERFUL - WE’VE GOT IT ALL! South Ayrshire has lots more to offer than just golf, so why not combine a great golfing experience with a relaxing stay? Characterised by striking contrasts, this region offers rolling green hills, a varied coastline, picturesque beaches and island adventures. Ayrshire and Arran offers a feast for the senses, where you can also enjoy fantastic food and tempting malt whiskies in bustling market towns and picturesque fishing villages. A perfect rural idyll which is easily accessible, you can discover history and heritage, and a range of exciting events and festivals in this magnificent part of the world. Golf South Ayrshire has a number of partnerships, where you can take advantage of some exclusive play and stay deals. Explore the Ayrshire coastline from your base at Mercure Ayr Hotel, which overlooks the seafront promenade and is a few steps away from the bustle of Ayr High Street. Make use of the complimentary high speed WiFi which is available throughout the hotel, or perhaps visit our Feel Good Health Club where you can work out or enjoy a swim and sauna. On your arrival you'll immediately feel welcome and at home. The Savoy Park has been under the stewardship of the Henderson family for over fifty years. You'll experience genuine hospitality, friendly, professional service and excellent fresh homemade food. We have plenty of free parking in our car park with security lighting and 24 hour night porter service. Woodland Bay Hotel is set in Carrick in Ayrshire, one of the most stunning regions in Scotland, with clean sandy beaches, picturesque harbours, majestic rolling hills and verdant green countryside. All these are only a short walk from the hotel. We are also conveniently situated right in the heart of golfing country. We offer golfing packages at local courses and are convenient for Trump Turnberry and Royal Troon. If your golfing is not quite up to Championship standard there are also over 40 golf courses within easy car journey for you to choose from. The Gailes Hotel is literally enveloped on all sides by championship golf, making it the perfect destination for your next golfing trip to Ayrshire. At SimpsInns we enjoy great working relationships with Ayrshire's leading golf courses and will be only to glad to assist with a tailored package to suit your needs and all at great discounted rates. Glasgow Gailes, Open Championship Final Qualifying venue, is next door to The Gailes, Dundonald Links is just across the road from our four-star hotel and Western Gailes is little over a par five away. Delightfully located on Prestwick Seafront, our 30 ensuite bedroom Hotel offers the very best in Scottish Hospitality. Enjoy the wonderful sea views and sunsets over the Ayrshire coast, whilst dining in our award winning Restaurant, relaxing Lounge Bar or Beer Garden. Why not visit and see why we are number 1 on Trip Advisor. Book direct for best rate. Sea facing privately owned South Beach Hotel is ideally located 5 minutes walk from Royal Troon, Municipal Courses and Town Centre with 7 Championship Courses in a 5 mile radius. Enjoy a comfortable friendly stay in the heart of golfing paradise. Turas-Mara is a beautifully maintained Guest House offering good food, comfortable rooms and free parking. We are within easy walking distance of Ayr Town Centre's restaurants and entertainment. All rooms have en-suites, complimentary WiFi and many other extras to help you enjoy your stay. Centrally located for all the areas many golf couses. We can reserve tee times, book transport, provide early breakfasts, packed lunches and drying facilities. An ideal base to stay, relax and enjoy your golf. Comfortable Victorian townhouse with elegant rooms combining tradition with modern comforts situated within close walking distance of many town centre restaurants and bars, but on a quiet leafy street with free parking. All rooms with en-suite or private facilities, free wifi, flat screen TV, hospitality trays with home baked cookies, complimentary luxury toiletries. Golfers welcome: tee times booked, early breakfasts; packed lunches; drying facilities; secure storage; free parking. Just 4 minutes from Belleisle golf course and 20 minutes from either Troon or Trump Turnberry golf courses. Daviot House is a family run guesthouse situated in the heart of Ayr. A warm, friendly and relaxed atmosphere welcomes you to Daviot House courtesy of Linda, Richard, Orla and Bo our black labrador. We pride ourselves on providing a home from home get away, where guests can relax, recharge and enjoy all that Ayr and the surrounding area has to offer. Daviot House is a Grade B listed building, which is over 100 years old and situated in Queens Terrace in Ayr. The house retains a number of original features and boasts large rooms with high ceilings adding to the comfort of any visit. Our central location allows guests to access Ayr’s beautiful sandy beach and the local shopping centers easily. Miller House is a large Victorian bed & breakfast which is situated on Miller road in Ayr's town centre, we have courtyard rooms and parking at the back of the house. All our rooms are modern light and spacious with six foot beds FREE WI-FI, LCD DVD TV's and tea/coffee making facilities. 4-Star Gold B&B in Ayr awarded VisitScotland Taste Our Best providing high quality local produce and home baking. Half a mile from Belleisle Municipal Golf Course and 20 minutes’ drive from Open Courses of Trump Turnberry and Royal Troon. Golfers welcome: tee times booked; bar restaurant nearby; early breakfasts; packed lunches; drying facilities; secure storage; free off-street parking; free wi-fi. A very popular B&B in the centre of the town, ideal for golf parties large and small. We can accommodate about 12-14 guests and, if required, offer to arrange accommodation for extra party members. We also arrange tee times, transport, dinner reservations etc. Give us a try. With stunning aspects over Royal Troon Championship Golf course and the majestic coastline of Ayrshire and Arran, LOCHGREEN sits in thirty acres of it’s own beautiful, secluded gardens. Awarded Five Stars Visit Scotland, Lochgreen has thirty two luxurious, spacious bedrooms and award winning dining. Golf Linx Travel, founded in 2007, and based in the West of Scotland, offer bespoke golf trips all over the UK & Ireland. We are happy to design tours for any party size, from individuals to large groups, self-drive or chauffeur driven, Deluxe Hotels to Guest Houses, Championship Courses to Hidden Gems and we always offer competitive prices. Please get in touch for a free competitive no obligation quote. Founded in 1991 Wales Golf Holidays celebrated its 25th anniversary in 2016 and as a prelude to this milestone launched UK Golf Holidays in 2013. Our portfolio of multi award winning golf packages now stretch throughout main land and include both play & stay golf resorts as well as bespoke itineraries that include championship and hidden gem courses. Our tailor made service is of particular interest to established golfers who want specialist advice in ensuring that their individual golfing requirements are met in full and within budget. ukgolfhols.com is delighted to be working with South Ayrshire Council to promote golfing packages that resonate the best traditions in modern golf. Quality Golf Destinations organise tailor made golf holidays in the UK and around the world. We offer a personalised service to give you exactly what you want, no standard packages. Anything from a weekend away to your perfect dream golfing holiday with any sized groups. We are bonded with the TTA for 100% protection, and are members of IAGTO. We provide fantastic golf tour packages on the best golf courses in Scotland. Play on the historic St Andrews Old Course, Carnoustie, Gleneagles, Turnberry, Royal Troon plus many more to suit every golfer and every budget. Our packages include golf, accommodation and local transfers and so all you have to do is turn up and enjoy. 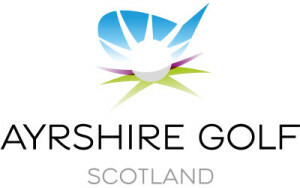 Golfayrshire.com is a golf tour operator based in Ayrshire which provides a full taylor made golf tour service to any groups wishing to play our world class golf courses in Ayrshire. We provide the full package including hotels, golf courses, tee times and also transport (if needed) For a truly memorable golf holiday experience please contact us now. Golfbreaks.com was formed in 1998 and was the brainchild of our Chief Executive Andrew Stanley, whose vision was to make booking golf breaks as simple as possible. This is a philosophy we continue to embrace today, as we send golfers on golf holidays across the UK, Europe, USA and Worldwide. Golfbreaks.com offer a choice of over 2,000 stunning venues in the UK, Europe and other exciting destinations Worldwide. The UK's only Golf Tour Operator, focused specifically on Ayrshire Golf holidays. Based in the heart of Ayrshire, we provide & arrange quality golfing holidays within Ayrshire.